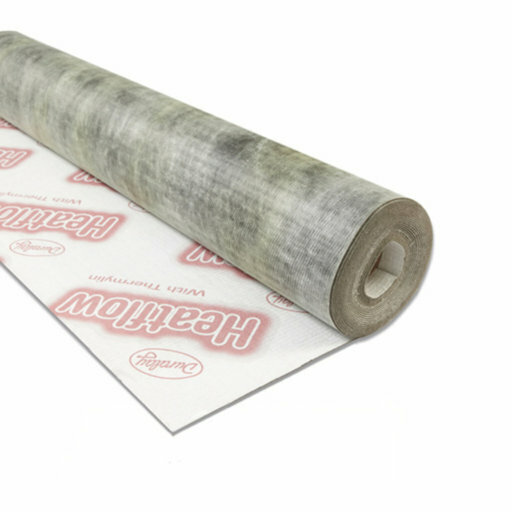 Heatflow underlay conducts more heat than other underlays, making it an ideal choice for installations with underfloor heating , with a low tog rating of 0.33. Prevents overstraining of joints in wood and laminate board. Creates a receptive surface, helping mask slight unevenness and minor blemishes found in the screed surface. High density resilient rubber underlay laid under wood and laminate flooring will keep noise to a minimum, making your environment a much more peaceful place to be.